Kali Linux: You must have encountered this name before. Either while surfing internet or while looking for hacking tutorials. Kali Linux is a well-known term for hackers. Kali Linux is a new version of Backtrack, one of the most notorious hacking software. It is filled with multiple tools of penetration testing. So now you know some basics about Kali Linux. Kali Linux can be used by anyone with basic or no knowledge of programming. Since Kali Linux uses in build plugins for penetration testing. Hence it can be used by anyone who knows how to operate basic softwares. 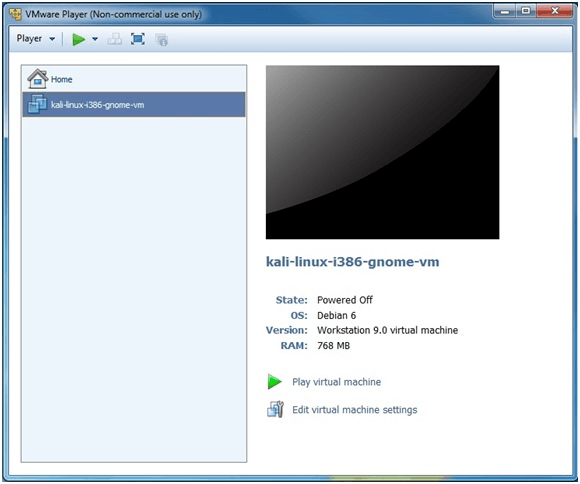 The most common way of using Kali Linux is through running it in a Virtual Player (Virtualization). Hence we will begin with the tutorial to install Kali Linux through Virtual Player. First of all you have to download Kali Linux. It is free to download and will be around 2-3 GB in size. So head up to kali Linux official website here(http://www.kali.org/downloads). But before you download it, there is an easy way to install Kali Linux that will save you a lot of time. Just download the custom Kali Linux ISO file that is pre-installed with VMware image. 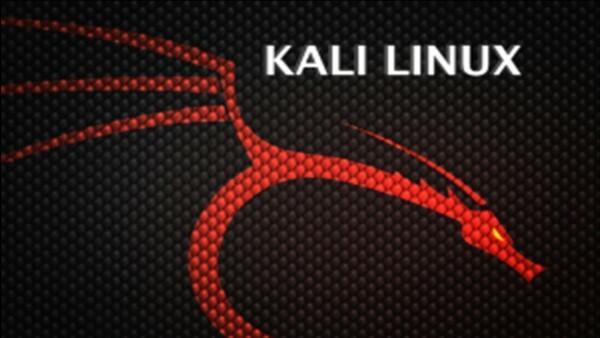 Just go to this website (https://www.offensive-security.com/kali-linux-vmware-arm-image-download/) and download a 64 bit or 32 bit version of Kali Linux. Now you will have to download a virtual player. Let’s download VM Ware for this purpose. 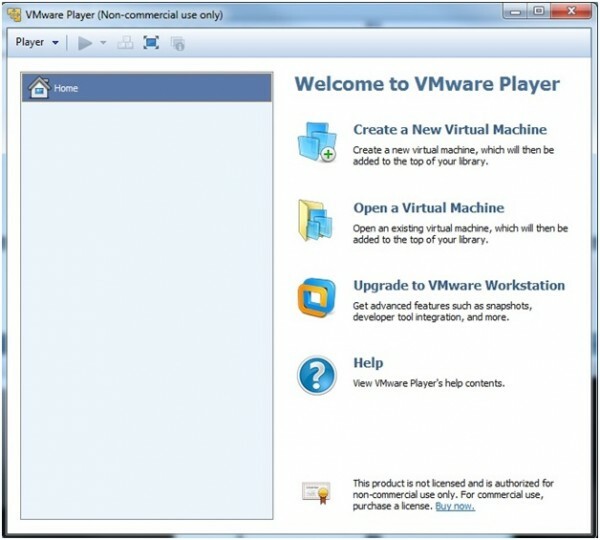 You can get a free version of VM Ware here (http://www.vmware.com/products/player). There will be many versions of VM Ware lying around. Just look through the website till you find the free version VM Ware. So you have a VM Ware virtual player and a ISO file of custom Kali Linux. Now install VM Ware in your system and run it. Once installed, extract the Kali Linux’s image file using WinRAR or any other extraction software. Now open VM Ware and click on “Open a virtual machine”. Head up to the folder where you have just extracted the Kali Linux’s Image and click on the file with .VMX extension. There will be just one file with this extension. Once you have done it, click on Play Virtual machine. Kali Linux will be now booted on the Virtual Machine. The default username and password for Kali Linux is root then toor. So till now we have installed the Kali Linux on our Virtual system using VM Ware tools. Let’s head up to next tutorial to do a bit of hacking. Next tutorial is about Hacking Wifi routers that are enabled with WPS security key. Since WPS is widely used as a security key in routers, hence we will hack it using Kali Linux. Let’s continue to our next post i.e hacking wifi using Kali Linux. In which step have you failed?